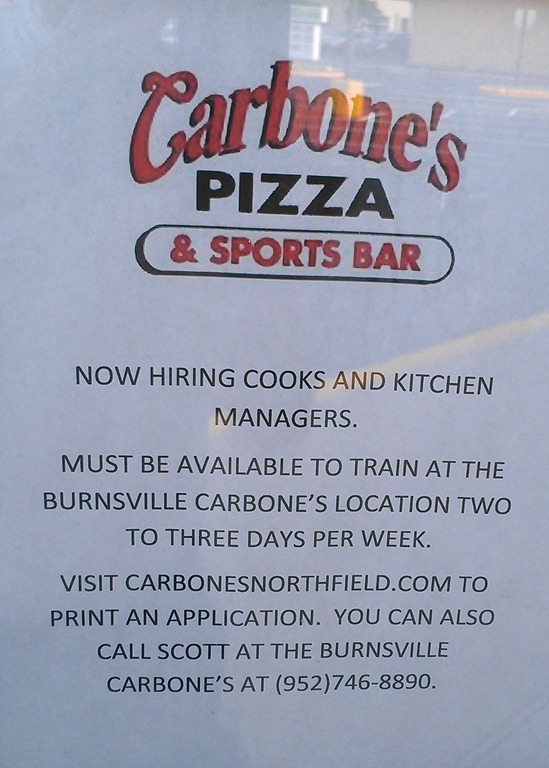 Carbone’s Pizza & Sports Bar in Northfield, MN is a full-service, pizza-themed, casual dining restaurant and sports bar offering incredible gourmet pizzas, along with a wide variety of other great dishes, such as wings, ribs, burgers, pasta, sandwiches and wraps. Carbone’s Pizza & Sports Bar offers a contemporary, sit-down family dining atmosphere with a separate sports bar featuring a large outdoor patio. With close to 20 large flat screen TV’s, you can’t miss the action. The result is a fun, high-energy setting for families and sports enthusiasts alike. 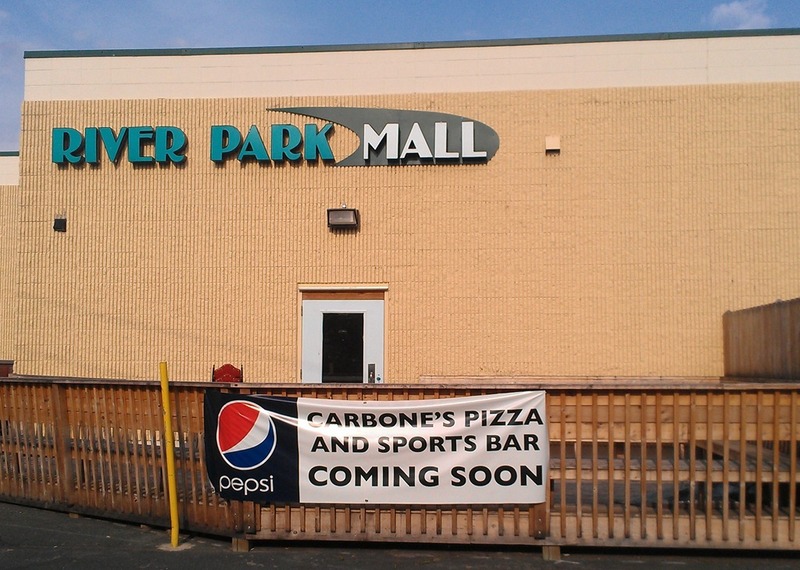 Carbone’s Pizzeria, a chain based in Minnesota, will soon be moving into 620 River Park Mall, most recently the home of 620 Grill. (Source: Norman Butler, leaseholder of the space.) 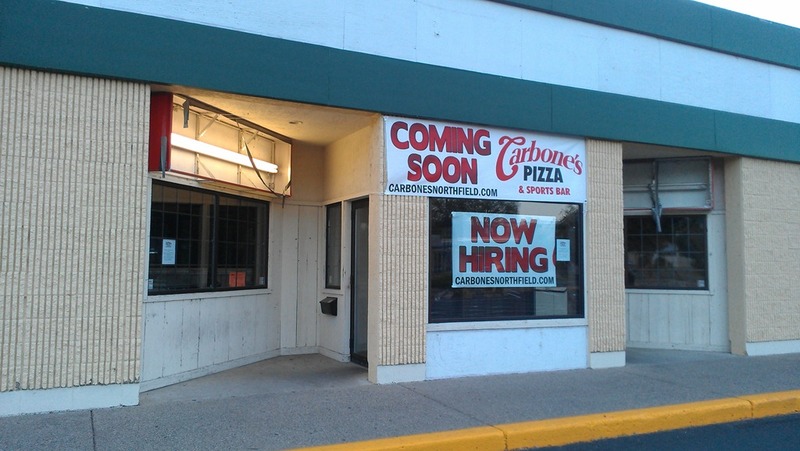 When I was in high school, Carbone’s Pizza on Randolph Ave. in the Highland Park neighborhood of St. Paul was one of my main hangouts. It’s not part of this chain, however. History here. Their WordPress-based website looks like it’s done well. I mostly like how they’re using their blog and their Twitter feed, too. 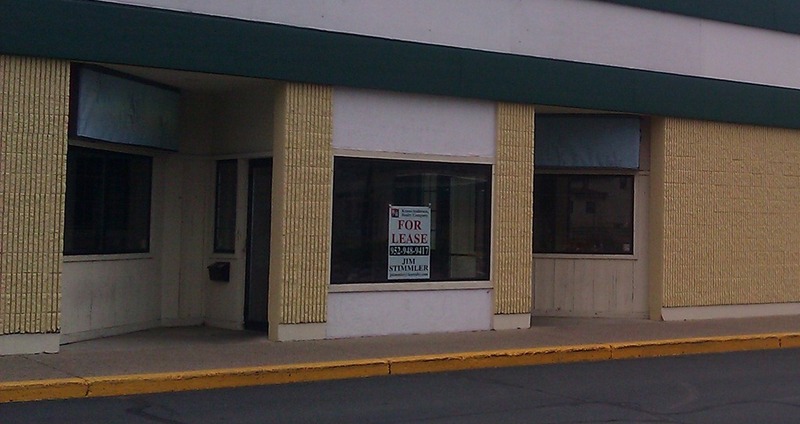 Question #2: What are the names of the Northfield pizza places that have closed over the years? Question #3: What other businesses in Northfield serve pizza or frozen pizza dough? Question #4: What are the names of the other restaurants that have been at the 620 River Park Mall location?